A motley group of emerging infrastructure companies has seen rapid growth in recent years. Finance Minister Arun Jaitley put the spotlight on infrastructure in the last budget with a massive Rs 3.96 lakh crore allocation for the sector. A signal to infrastructure companies that more projects are coming their way. But it does not translate into much joy for infrastructure conglomerates - the likes of GMR, GVK, Adani and Lanco - who, for over a decade following India's economic reforms, had begun to look like the new face of Indian private enterprise with their asset-owning developer model. Today, they are all sharply focused on internal housekeeping and dealing with the challenges of restructuring debt. Estimates show that the total debt by the four leading players - GMR, GVK, Adani and Lanco - alone will add up to close to Rs 2 lakh crore. With such high leverage, its difficult for them to venture into newer projects. Business Today spoke to analysts and industry insiders to get a sense of which infra players are growing rapidly and, consequently, well placed to make the most of Jaitleys largesse. The exercise threw up a motley group spread across the country. The thread common to the companies featured here is their strength in EPC (quickspeak for engineering, procurement and construction) capabilities. In an EPC, a client is billed and he pays for the costs incurred for a project as against BOT (Build, operate and transfer) where the company raises its own funds and recoups them after completion of the venture. River-linking has often drawn flak for its environmental and socio-economic implications. But here is an infrastructure company that entered the Limca Book of Records for the fastest completion of a river-linking project at Pattiseema in Andhra Pradesh. Megha Engineering and Infrastructures Ltd (MEIL) took only a year to link Krishna and Godavari rivers for a lift irrigation project and commissioned the first pump in 173 days. "Our first major river-linking project was in Madhya Pradesh, called Narmada Kshipra Simhastha Link Project. We had commissioned it in March 27, 2014," says P. V. Krishna Reddy, Co-founder and Managing Director of MEIL. He says his company's strength lies in EPC. "In infrastructure, we are working in all the areas - water, roads, power transmission and hydrocarbons." 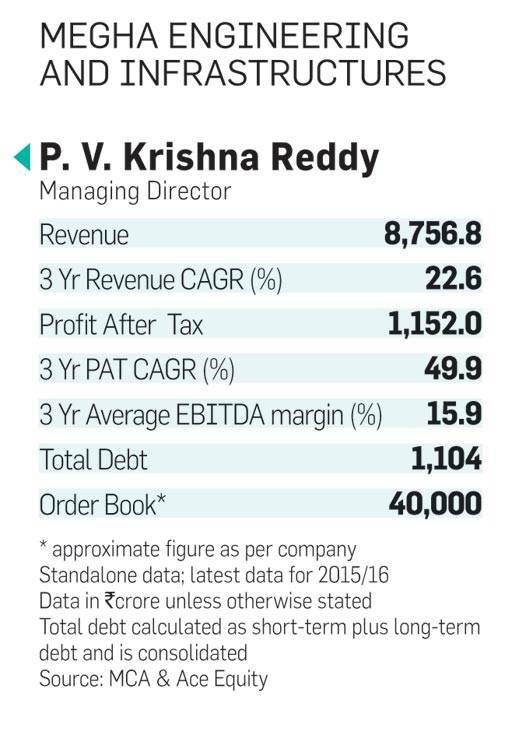 The company, says Reddy, is currently handling more than 100 projects compared to the 60-70 three years ago. The government projects account for 50 per cent of the work in MEIL's kitty. 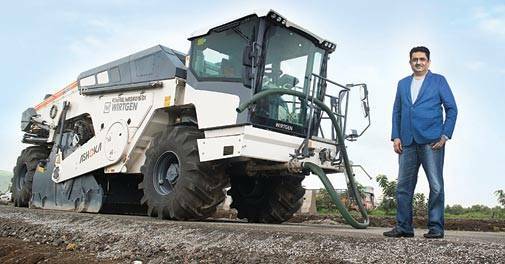 The company earns about 40 per cent of its revenue from water projects, 20-25 per cent from the power sector, about 15 per cent from hydrocarbons and about 10 per cent from roads. Krishna Reddy had always wanted to start his own business. He joined his uncle, P.P. Reddy, (MEIL's Chairman) to set up a small manufacturing unit in 1989 that produced pipes for irrigation projects. On the small plot of land where this unit once existed, now stands the multi-storied office of MEIL with each floor named after an Indian river. "Last year we had a turnover of Rs 12,000 crore. This year, we aim to get to $3 billion," he says. Reddy's detractors, however, attribute MEIL's rise to the political patronage it enjoys locally. "All projects are now allocated via e-procurement. 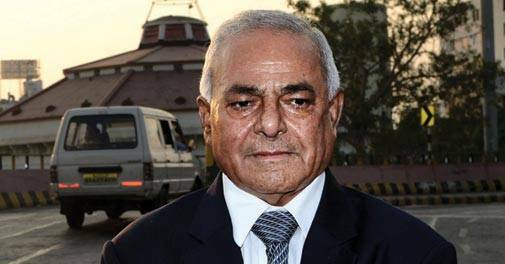 Moreover, we operate in 16 states, and it is not possible to curry favour with all the governments as we get repeat projects across the states," sums up Reddy. 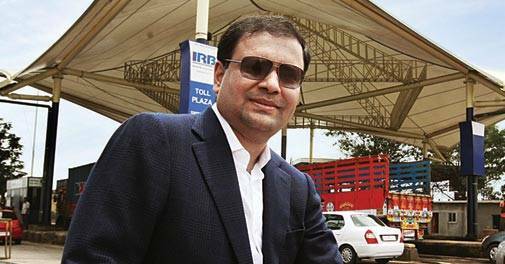 In May this year, Mumbai-headquartered IRB Infrastructure Developers Ltd hit the headlines as it came up with the first-ever infrastructure investment trust (InvIT) in the country and got it listed. It is like a mutual fund where individuals and institutional investors can invest in infra projects. Besides equity and debt, it is, therefore, a third investment option. "We have successfully launched India's first-ever and much-awaited InvIT and its IPO, which saw 8.7 times response from investors. The IPO raised `5,035 crore," says Virendra D. Mhaiskar, Chairman and Managing Director of the 19-year-old company. "We need to look at the benefits that the stakeholders are receiving such as guaranteed returns on investments, which are higher than what the existing instruments offer." With the funds raised IRB was able to clear debt in select projects and in a position to take up new ventures. According to Mhaiskar, last year "was good. We registered 12 per cent growth in net profit for the financial year 2016/17 and 14 per cent growth in revenue. We also bagged three prime projects from the National Highways Authority of India. These will add up to more than 300 km while the project cost will be in excess of `6,000 crore." Out of these three, the Rs 2,088 crore BOT project on the Rajasthan-Gujarat border has already achieved financial closure. IRB bagged the project by offering a premium of Rs 163.80 crore. 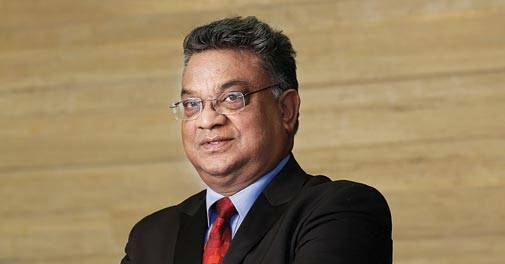 Mhaiskar points out that the company has "always focussed on the BOT sector". IRB is currently operating in eight states and is "looking at all upcoming BOT projects, and may evaluate some HAM (hybrid annuity model) projects as well". For the promoters of Dilip Buildcon Ltd (DBL), a widely diversified portfolio - from roads and highways to urban development to bridges and irrigation - means getting closer to their ultimate goal of becoming a full-service infrastructure company in about three years. The company is currently building India's second largest cable suspension bridge in Goa - a 640 km and eight-lanes across the Zuari River. Last year, DBL bagged the `545.40 crore contract from the Ministry of Road Transport and Highways. "It is the largest suspension bridge being built by a private sector company, 50 per cent larger than Mumbai's Worli Sea Link," says 30-year-old Rohan Suryavanshi, head of strategy and planning at DBL and son of the founder Dilip Suryavanshi. Back in 1980, Dilip Suryavanshi, son of a police officer and a civil engineering graduate fresh out of college, started his entrepreneurial journey by helping his brother set up a soya bean oil extraction plant near Bhopal. But soon he found his calling in construction and set up Dilip Builders as a sole proprietorship company. In the course of his work, Suryavanshi realised the importance of owning one's own equipment. He got his first stone crusher in 1996, followed by excavators and dumpers. Today, DBL owns 8,525 GPS-connected and geotracked construction equipment while a fleet of 16,000 drivers operate them. DBL has evolved too, emerging as a private limited company in 2006 and coming up with its initial public offering (IPO) in 2016. DBL operates in 16 states and has nearly 60 projects in its kitty. "More important, we do everything on our own, from mining on the site to developing the sign boards on the roads," says Rohan. 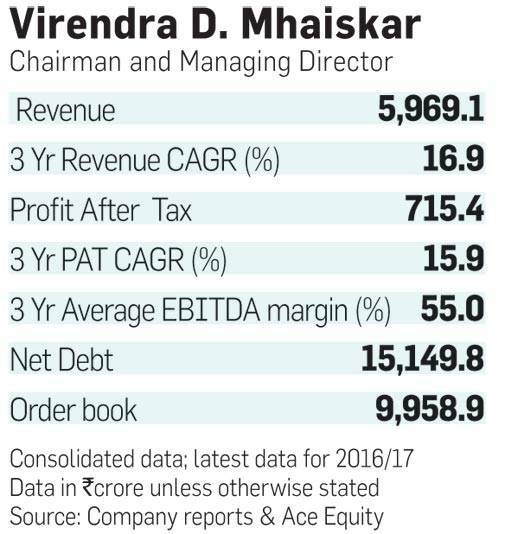 The company has an order book of Rs 17,500 crore, which would be nearly three times its revenues if it achieves its internal goal of Rs 6,000 crore this year. Ninety-five per cent of its projects comes from the central government. Sector-wise, 80 per cent is from roads, 15 per cent from mining and 5 per cent from urban infrastructure and irrigation. "Roads are an important niche for us. We are now building about 2.5 km every day, 10 per cent of the government's stated target of 25 km a day," says Rohan. He calls DBL "largest road construction company in India in terms of the order book, completed projects and geographical spread." Nitin Patel, CFO and Executive Director of Ahmedabad-based Sadbhav Engineering, takes great pride in the achievements of his company. Sadbhav is today the leader in the new hybrid annuity model (HAM) for highway projects launched by the government about 18 months ago, he points out. 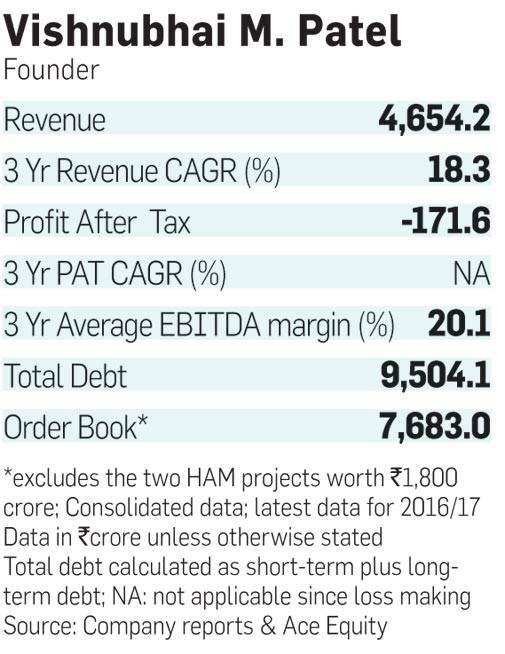 Under this, the National Highway Authority of India (NHAI) pitches in 40 per cent of funds during the construction phase and the developer raises the balance 60 per cent in the debt: equity ratio most agreeable to the lenders. And in 15 years, it will be paid back as annuity in some 30 odd annuities by the NHAI. The repayment is guaranteed by the NHAI and the debt is annuity-linked unlike the riskier yield (density of traffic) -linked. 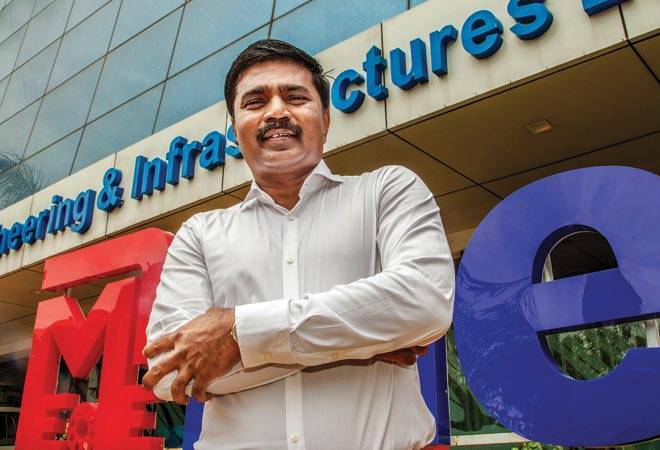 "Under this model, the NHAI has so far called for 55 bids for projects worth around Rs 50,000 crore and out of these, Sadbhav has participated in 42 of them and emerged the lowest bidder in seven bids with a total value of around Rs 6,000 crore," says Patel. "With these seven, Sadbhav leads the space winning the highest number of hybrid-annuity model bids." Out of these seven, financial closure has been achieved for five projects. 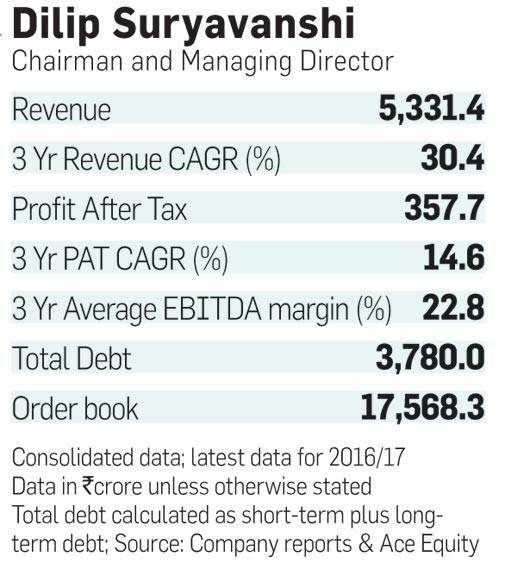 Today, the order book for Sadbhav Engineering is Rs 9,500 crore. About 65 per cent of the total turnover is from "transportation business" (largely highways), 18 per cent to 20 per cent from irrigation and remaining 15 per cent from mining sector, according to Patel. Typically, Sadbhav Infrastructure, the subsidiary of Sadbhav Engineering, bids for projects. The execution is done by Sadbhav Engineering, the parent company with strengths in EPC. Today, Sadbhav has presence across 18 states. Currently, the company, Patel seems to suggest, is driving in top gear, executing 48 EPC projects across the country and includes irrigation, mining, metro, road BOT and road EPC projects. The year 1997 holds tremendous significance in the journey of Nashik headquartered Ashoka Buildcon. That year it graduated from being a pure EPC player and became a developer with its first ever BOT (Build, Own, Transfer) project - a new concept back then. It was the 5 km Dhule bypass in Maharashtra and the project cost was just Rs 5 crore. Ashoka Buildcon's Managing Director Satish Parakh calls it "an early experimental thing that the company wanted to opt for". The company was driven by the enthusiasm of the then state public works department minister and now the Union Road Transport and Highway Minister Nitin Gadkari, who was trying to promote BOT projects in Maharashtra. It has not looked back since then. Today, Ashoka Buildcon has 29 BOT projects, of which 27 have been completed. The key strength of the company, he says, lies in the fact that it was born as an EPC company and later graduated to becoming a developer. "Our USP is that we have complete control over the entire value chain," says Parakh. Around 70 per cent of the revenue is from roads and about 30 per cent from power. Today, the company is present across 16 states. 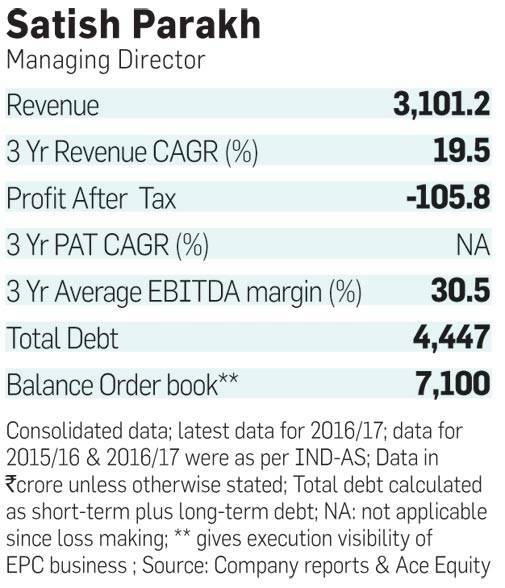 Its total consolidated debt is, "in proportion to the around Rs 10,000 crore assets that the company owns," according to Parakh.